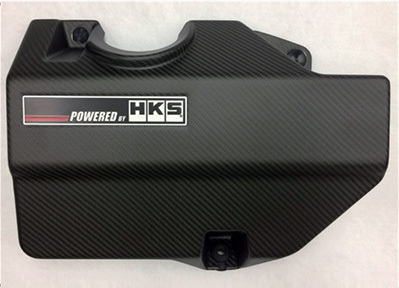 The dry carbon engine cover improves the engine bay appearance and differentiates it from the stock. it created a beauty of an uniform pattern. 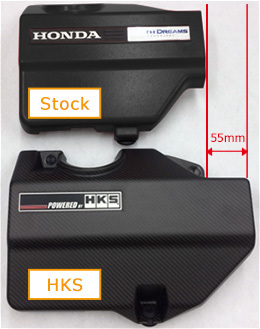 The width is approximately 55mm wider than a stock. 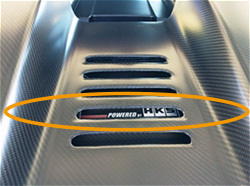 The carbon pattern created a premium appearance. Just replace with a stock cover; no bolt and any tool is required. 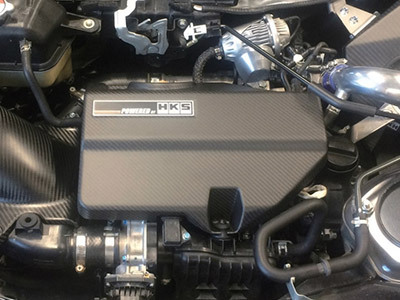 HKS original emblem is peeked out of the engine hood opening.